Who Ya Gonna Trust? RINOs, Harry Reid, NOBama or Grover Norquist? None of the Above! Of course Republicans (ok, only most of them) are ready to denounce Grover Norquist’s (Americans for Tax Reform) tax pledge. This fiscal cliff makes good theater, but it’s so tired. They’ve extended the debt ceiling a ba-zillion times before. The RINOs, the lib-tards and frankly most in both parties operate solely for their own benefit (power, money, re-election *you choose the order*). So are we surprised so many Republicans are caving again? NO, but Grover Norquist is no Sunday-school teacher in fact, he is a radical Islamist substantiated by this, this and this. I hated that conservatives and the Tea Party were successfully marginalized at the RNC in August by those sneaky little rule changes (that some say were only housekeeping items), and this is what we get. RINOs are being RINOs and we shouldn’t be surprised when nothing changes. After all John Boehner, crier of the house -was reelected to lead the miserable Republican Party again! Sidebar: God Bless Louis Gohmert, Texas congressman & conservative for at least trying. He nominated Newt Gingrich as Speaker of the House, but didn’t get anywhere. (no you don’t have to be a member of the House to be Speaker). Tell the blank-ity-blank truth! Just say it, you mean tax increases!! You’re ready to cave in order to get re-elected. They’re actually talking Jeb Bush for 2016. Gimme shelter. And they wonder why they lost! Beyond The Consent of The Governed- Yes Way! Okay I don’t care who the next president is (not!) we have plenty of work to do. If Barack Hussein Obama is elected we must get a majority in the Senate and keep the majority in the House. Not only that, due to the huge RINO factor we must support and elect conservatives to both the House and Senate. Why? Republicans talk about balancing the budget. Do they mean it? Strip searches for a parking ticket? If Romney is elected, which is not at all a sure bet, we have plenty of work to do and we must support and elect conservatives to both the House and Senate. If you think I am repeating myself, I am. I can’t say it enough. Support Senate Conservatives Fund! Romney is a big government guy and we know BHO is for sure. We need some stopgap measures in place to put roadblocks in their way. If the Supremes do not rule Obamacare totally and completely unconstitutional in its entirety we still need to undo as much damage as we can there. Here’s how you can help. 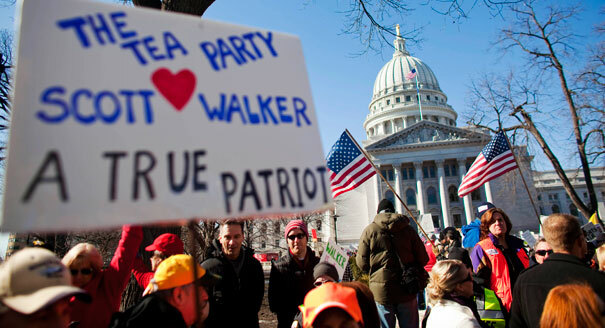 Support Conservative Candidates running now just like the Tea Party did in 2010. ~Psst, tired of politics? Check out the Travel Category (right side panel) for my blogs posted direct from Buenos Aires. Governors all over the country are watching to see what will happen as Governor Scott Walker takes the hard steps to balance Wisconsin’s budget. Walker calls this a bold political move, but a modest request from state workers to balance the budget. Remember 44 States (and including Washington D.C.) have budget shortfalls, some fairly massive. You’re gonna see this played out across the country as reality sets in. Where's the Dog when we need him? I have long been amazed while reading the sports page at the shenanigans of the professional athletes. Here’s a bunch of people with the world at their fingertips and they constantly and continually throw it away with stupid behavior including guns, drugs, gambling, dog fighting, murder and mayhem. Michael Vick, Mike Tyson, Marion Jones, Allen Iverson, and OJ readily come to mind. It’s a sign they are paid way too much and for some reason, worshiped like icons and idols and basically given license to lie, cheat, steal and yes, sometimes commit murder just because of their fame, notoriety or name recognition. It’s power bestowed but not earned! And it’s not unlike the behavior of our elected and/or appointed officials. I’m thinking Timothy “the tax cheat” Geithner, Tom Daschle (also tax reporting gaps) and Charles Rangel also with tax issues. And look at some the Czars’ past deeds and you can see they fit right in too. Car Czar, Steven Rattner had to leave his post amid the ‘Pay to Play’ scandal at the private equity firm he founded, over how he won business from New York’s public pension fund. Information Czar, Vivek Kundra is a petty thief who was caught red-handed shoplifting from JC Penney in 1997. Green Jobs Czar, Van Jones is an avowed Communist who first became radicalized in the wake of the 1992 Rodney King riots, in which he was arrested. The day after the 9/11 attacks at the World Trade Center and the Pentagon Jones led a vigil that expressed solidarity with Arab and Muslim Americans as well as what he called the victims of “U.S. imperialism”. Jones was the leader and founder of a radical group, the communist revolutionary organization Standing Together to Organize a Revolutionary Movement, or STORM. Energy Czar, Carol Browner who once headed the EPA ordered files destroyed that would have been damaging to her and the EPA in a Freedom of Information lawsuit. After a two-year legal battle, the EPA was held in contempt of court for the systematic file destruction. Diversity Chief, Mark Lloyd is an admirer of the Revolution in Venezuela who will be balancing out the airwaves (silencing anyone who may not agree with him) with the ability to take control of the internet in times of emergency, but be careful of who defines or starts the emergency (remember the banking emergency that required TARP?). That’s enough for now, but stay tuned for “In or Out in 2010” a message you can send to all of our politicians, and don’t forget about the Kona Tea Party being held on Sat., Sept 12th on the Queen Ka’ahumanu Hwy., just past Borders from 3:00 PM on.